Hi! Remember my Mickey Mouse topiary? Well the Louis, Disney Donna Kay fan that I posted the topiary for, made one for an adorable Minnie Mouse Birthday party and I wanted to share their creation with you today. From the looks of this picture the party was a huge success and the topiary turned out great!! Thanks for sharing it with us!! Remember, I would love to see if you use one of the Disney Party Boards as inspiration for your party or if you make any of the items from the Creative Disney Inspiration series. You can share by sending me a picture at disneydonnakay@yahoo.com or by posting on the Disney Donna Kay Facebook page. That's one lucky kid- it looks like a dream party to me! Look how you inspire people Donna!!! Thanks :D!! I love making the Disney Party Boards, I hope they help out someone with party planning. Awww, thanks Melissa!! I can't wait to see!! Those decorations are so cute. I wonder if I'm too old for a Minnie Mouse birthday party. Kuleen, you can NEVER be too old for a Minnie Mouse party!! I thought they did a fabulous job!! I just love seeing people use my party boards as inspiration!! Thanks Beth!! You always do such a great job with your boys birthday parties, they are so lucky to have you as a mommy!! So cute, and it's in my favorite color! I made Mickey topiaries for our wedding centerpieces. It was so much fun to make! Thanks Mindy! 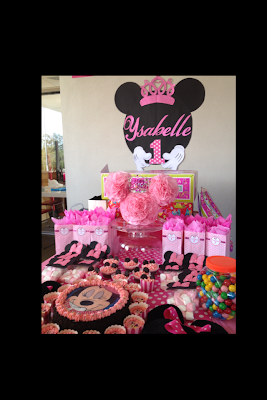 I love Disney parties, and it made me so happy to inspire someone to use my ideas at their party.